(This op-ed orginally appeared on Townhall.com on January 31, 2019) On January 27, the United States Postal Service (USPS) hiked up the price of First-Class Forever stamps from 50 to 55 cents, the largest percentage increase in stamp prices since the Civil War. Postal leadership hopes that these increases will help mask historic net losses - most recently, $3.9 billion in fiscal year 2018. The USPS insists that their gargantuan financial issues were caused by Congress, specifically a mandate passed in 2006 that required the agency to set aside money ahead of time for workers’ retirement obligations. A new report by the Taxpayers Protection Alliance (TPA) shows that USPS management can save more than $3.3 billion each year by curtailing waste and reforming its pricing system. TPA also demonstrates that, contrary to the USPS’ claim that it takes no taxpayer money, the agency receives more than $3.6 billion annually in tax expenditures from federal and state governments. With all of the USPS’s resources and reform opportunities, there is simply no reason for large losses to continue. This article originally appeared in the American Conservative on April 5, 2018. The following letter was sent to Senators Claire McCaskill (D-Mo.) and Ron Johnson (R-Wisc.) on May 24, 2017. The U.S. Postal Service (USPS) is one of our nation’s oldest and largest government entities. 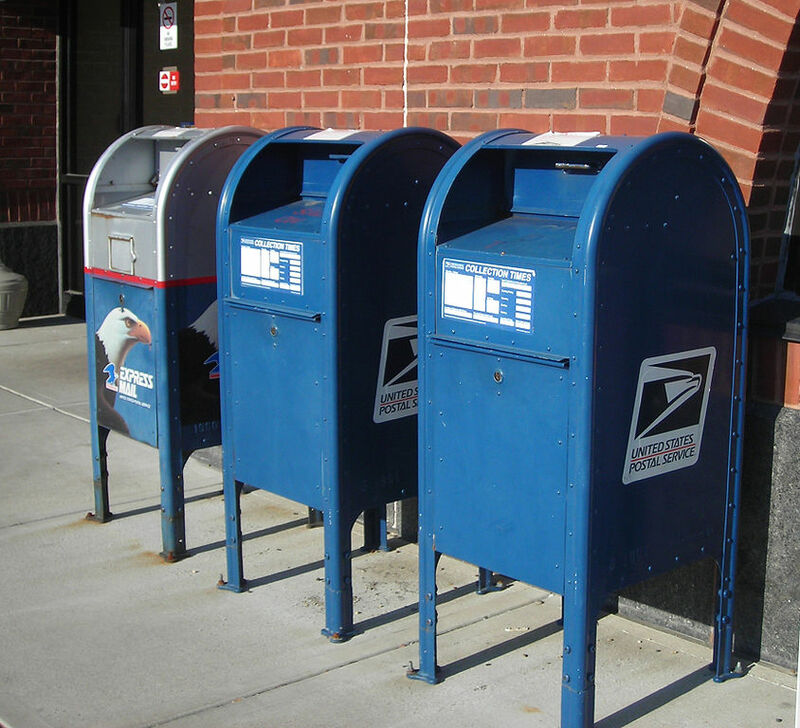 For decades, consumers have relied upon the stability and function of the USPS to aid them in their everyday lives. However, over the last several years this has changed and the USPS has deteriorated through its escalating financial losses, failing performance standards, and lack of leadership within the Board of Governors. As a national taxpayer advocate representing hundreds of thousands of taxpayers, the Taxpayers Protection Alliance (TPA) write this letter to urge you to continue to help advance solutions, beginning with an urgent need to restore leadership to the Board of Governors to aid in the proper functioning of the U.S. Postal Service. WASHINGTON, D.C. – Today, the Taxpayers Protection Alliance (TPA) expressed dismay about the U.S. Postal Service’s (USPS) continuing escalating debts. In today’s release, the USPS posted a loss of $562 million in its second quarter financial report for the 2017 fiscal year. This loss is a stark reminder about the agency’s inability to achieve fiscal stability. After posting losses during the December holiday delivery season, the USPS appears on track for its 11th consecutive fiscal year in the red. The USPS has failed to pay its retiree health benefits payments despite its legal obligation to do so. Even though they have failed to pay this obligation, they have included this unpaid figure as a part of its quarterly losses. After amassing these debts, and many others as a result of bad management practices, the Government Accountability Office (GAO) has calculated that the Postal Service now carries more than $121 billion in unfunded liabilities on its books. Last week, despite opposition from numerous free-market and conservative groups, the House Oversight and Government Reform Committee voted to pass the Postal Reform Act of 2017 (H.R. 756) out of committee. This is a committee with eight conservative Freedom Caucus members on it, yet this is not a conservative bill. We’ve written before about why H.R. 756 is not a conservative solution and does not provide the necessary reforms to fix the USPS’s numerous problems. Our concerns remain the same. Before this legislation comes to a vote on the House floor, we would urge representatives - particularly Freedom Caucus Chairman Meadows and his fellow committee members - to think carefully. Postal reform sounds great – sure. But this bill does little to address the underlying causes of the postal service’s problems and, in many cases, will make matters worse. Today, the Taxpayers Protection Alliance submitted the following comments to the Postal Regulatory Commission (PRC) associated with the Commission’s statutory review of the system for regulating rates and classes for market dominant products ten years after the enactment of the Postal Accountability and Enhancement Act of 2006 (PAEA). Pursuant to Commission Order No. 3673, the Taxpayers Protection Alliance (TPA) hereby submits the following comments associated with the Commission’s statutory review of the system for regulating rates and classes for market dominant products ten years after the enactment of the Postal Accountability and Enhancement Act of 2006 (PAEA). In light of the Commission’s charge to review the efficacy of the PAEA and the ability of the U.S. Postal Service (USPS) to meet identified objectives used to guide its operations, TPA seeks to emphasize numerous facets where the agency has continued to display greatly unsatisfactory performance. Based on the inability to meet the objectives described below, our organization compels the Commission to propose impactful and enduring systemic modifications. The Taxpayers Protection Alliance (TPA) requests to submit the following reply comments to the Postal Regulatory Commission upon considering the materials submitted by the U.S. Postal Service (USPS) (notably, the Annual Compliance Report for Fiscal Year 2016), and comments initially submitted by other organizations. Primarily, TPA seeks to reemphasize concerns highlighted in the comments submitted by the Association for Postal Commerce (PostCom). Several of the issues raised about suitable business practices by PostCom and also in comments previously shared by TPA for the compliance review docket in 2015 and 2014, have been long-standing and the Commission should more closely scrutinize such matters and take action to resolve them. This week, the more than 20 groups signed a coalition letter authored by Americans for Tax Reform opposing H.R. 756, the “Postal Service Reform Act of 2017” introduced by House Government Oversight Committee Chairman Jason Chaffetz (R-Utah), and the Committee’s Ranking Member Elijah Cummings (D-Md.). The bill does nothing to address the real financial and structural management problems that the United States Posal Service (USPS) faces, and instead doubles down on the ineffective and costly way that the Postal Service has driven their agency in for some time. The Taxpayers Protection Alliance (TPA), representing the millions of Americans across the country who embrace a sensible and fiscally responsible federal government, call on Congress to ensure that new efforts in reforming the U.S Postal Service (USPS) are executed in a sound and constructive manner for all who use and are impacted by the USPS. The USPS posted a $5 billion loss last year. This was on top of the tens of billions of dollars worth of losses over the last decade. For years, meaningful Postal Reform efforts have been continuously discarded in favor of cursory and timid legislative attempts that were intended to appeal to a much more divided Congress. Looking ahead, like-minded leaders now enjoy a prime opportunity to advance noteworthy changes to the agency that has been consistently plagued by mismanagement while struggling mightily to deliver value to the people it was meant to serve. Coalescing the following principals within the next Postal Reform legislation will not only prove to be navigable politically, but will also provide the ideal changes to put the agency on a long-term sustainable path. Donald Trump can’t run his own businesses while he’s president, but it would be helpful if he applied his management skills to some of the government’s businesses. The Postal Service just wrapped up another dismal financial year, losing $5.1 billion. The bright side, it says, is revenues were up somewhat, and losses actually decreased from the $5.8 billion reported in the previous fiscal year. To continue this trend, the Postal Service has done what no business would do – announced a price increase on what is now its most-profitable product to increase investment in unprofitable lines. Prices will go up a penny on single-piece letters and cards, on which revenue covered 175 percent of expenses, and presorted letters and cards, on which revenue covered 363 percent of expenses. Weeks before the U.S. Postal Service begins to brag about all of the packages they will deliver during the upcoming holiday season, they will close the books on their 2016 fiscal year. And, based on a recent release, the Postmaster General and Chief Financial Officer will unveil their financial results on Nov. 15. If history is any guide, this will not be a very proud moment for the leadership of the United States Postal Service (USPS) with billion-dollar losses expected. The Taxpayers Protection Alliance (TPA), representing millions of people from across the country, has previously commented to the Postal Regulatory Commission (PRC) on the dockets for the U.S. Postal Service’s (USPS) annual compliance report and on the PRC’s preparations for its report to Congress. In these proceedings, TPA discussed USPS’ perilous financial position – specifically as it relates to the potential exposure of this insurmountable debt to American taxpayers – and to the consistent willingness to allow the agency to obscure its fiscal details in such a manner that spoils opportunities to ascertain possible solutions to the ongoing problems. We, the undersigned organizations, representing millions of taxpayers and consumers nationwide, urge Congress to oppose H.R. 5714, the “Postal Service Reform Act of 2016” introduced by House Government Oversight Committee Chairman Jason Chaffetz, and the Committee’s Ranking Member Elijah Cummings. For years, the U.S. Postal Service (USPS) has suffered from operational and financial inefficiencies, and while reforms are needed, H.R. 5714 misses the mark and may actually exacerbate the issues facing USPS. It’s no secret that the United States Postal Service (USPS) has been desperately attempting to salvage their failing business model over the past decade – placing blame on outside sources and explanations for their failings and trying to reinvent themselves in ways that fall outside of their legal scope as a quasi-governmental agency, rather than examining their own business practices, policies, and infrastructure. And things just keep getting worse. Like a misaddressed letter that can’t reach its intended destination, the U.S. Postal Service (USPS) keeps failing to deliver on promises for full transparency and accountability to postal customers. Taxpayers are waiting too, and wondering if USPS will become the next Fannie Mae/Freddie Mac bailout they’ll have to fund. Earlier this week the Postal Service reported yet another quarterly financial loss, and once again, Americans are being forced to parse numbers as well as words in USPS’s quarterly financial report.